HardieShingle® Siding is known for enhancing your home’s architecture or showing off its classic beauty. Although shingles are known for their “Cape Cod” style but can give you home an instant charm no matter what were your home is currently located. With three different styles to choose from, there are over 72 different Hardie Shingles that you can use to make your dream home exterior! 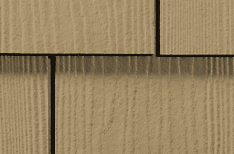 One of the most popular Hardie Shingles is the Staggered Edge. 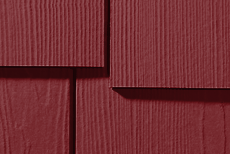 It’s the perfect shingle or exterior siding for a rustic and laid-back look. Most of the time it’s used for homes that are in wooded areas or cottages along the coast. If you are looking for a more modern contemporary look but not too harsh, then James Hardie offers Straight Edge shingles as well. This can best be described as a tailored look that is perfect for suburban areas. But shingles are not just for the front or side of your house. Inspired by coastal cottages, Half Round shingles by James Hardie add the perfect accent to specific areas of architecture like gables, dormers, and borders. There’s no need to worry about Mother Nature because Hardie engineers make sure their shingles can withstand any elements; they are Engineered for Climate®. And don’t forget they also come primed for paint or in 23 different James Hardie ColorPlus® Technology Colors. 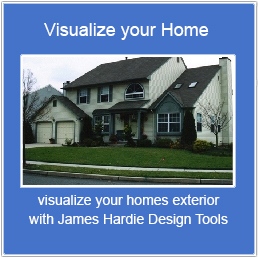 Hardie Products are known for their durability. 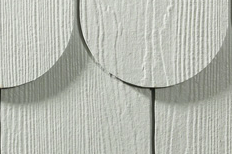 Whether you want a modern or rustic look, HardieShingle® Siding has the best options for your home exterior. For a smooth installation, make sure you hire a Preferred James Hardie installer so nothing goes wrong!